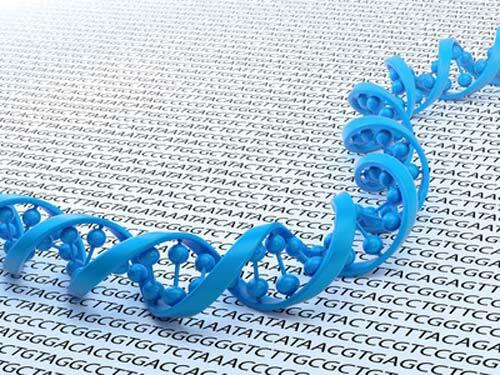 Fabric Genomics’ new rapid annotation offering will be used within Veritas Genetics’ myGenome personal whole genome sequencing test, the companies said, through a technology partnership whose value was not disclosed. The partnership was announced yesterday, a day after Fabric said it had rebranded from Omicia—revealing a new name, logo and brand identity at this week’s ACMG Annual Clinical Genetics Meeting. Fabric Annotation is a comprehensive variant annotation pipeline designed to help labs fully automate variant annotation for their panel, exome and genome tests. Fabric Annotation appends gene and impact information, as well as multiple predictive scores and links to literature evidence. Fabric says its interpretation pipeline provides whole genome annotation in approximately under 10 minutes. Data sources are updated monthly, which according to the company helps ensure that the data users receive is comprehensive, accurate and up-to-date. “For us, this partnership is not just about accelerating results; it’s about a shared mission to empower people to live both healthier and longer by providing them access to their genomic information,” Fabric Genomics CEO Matt Tindall said in a statement. Priced at $999, myGenome provides sequencing, interpretation and a call with a genetic counselor “when appropriate,” according to Veritas. The test was launched last year. Veritas says it uses Fabric Annotation to help automate variant interpretation within myGenome—automation that assists in production scaling, cost reduction, and 24-7 processing availability. Earlier this week, Fabric launched its Fabric Enterprise computational genomics platform, designed to enable secondary analysis, rapid annotation, guideline-driven variant classification and clinical reporting for both hereditary disease and oncology. Fabric also said Tuesday it has teamed up with Sentieon, a developer of algorithms for bioinformatics applications, in a partnership of undisclosed value designed to enhance Fabric Enterprise’s secondary analysis capabilities. The launch of Fabric Enterprise, the Sentieon partnership, and the rebranding followed corporate milestones that include the acquisition of Spiral Genetics for an undisclosed price in January, and the closing of a $23 million Series B financing in June.